Aortic stenosis is a chronic rheumatic heart disease that creates rigidity with deformation of the heart valves, joins commissure or connects, and shorten chordae tendinea due to one or more attacks of rheumatic fever. These changes in the heart are leading to aortic stenosis and aortic insufficiency, which in rare cases occur together. In aortic stenosis in 50-55% of all cases, mitral valves are affected, in 25% of all cases are associated lesions of the mitral and aortic valves and only in 10% of all cases there is damage to the aortic valve. Less commonly, aortic stenosis affects valves of pulmonary artery. Aortic stenosis prevent ejection of blood from the left ventricle into the aorta because of the narrowing of the opening of the aortic valve. Only in 60% of all cases, doctor can established history of rheumatic fever in the patient with rheumatic disease. The earliest sign of organic disease is severe valvular heart murmur, but for data on damage to heart valves, doctor should use X-ray, fluoroscopy and ECG. Aortic stenosis can be prevented if the patient avoid exposure to streptococcal infection. The use of antibiotics in patients under 40 years of age and in patients who have been exposed to streptococcal infection, can be rapid and effective treatment for infections caused by hemolytic streptococcus. 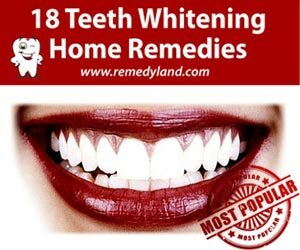 You should carefully listen to the instructions of doctors and repair tooth cavities, urogenital system and possible have surgical intervention to prevent the bacteremia and subacute bacterial endocarditis. After aortic stenosis, patients is going to have reduced physical abilities, patient must monitor changes in the thyroid gland, possible occurrences of decrease in number of red blood cells and cardiac arrhythmias. It is also important after aortic stenosis, to avoid physical fatigue, it is necessary to maintain good general health status and avoid obesity. From aortic stenosis mostly men suffers, in approximately 80% of all cases. Typical cardiac heart murmur and “thrill” without causing significant changes in blood flow creates a rough valves or aortic dilatation. In certain cases of aortic stenosis, systolic murmur occurs over the the aorta then he is transmitted to the neck and on the top of the heart. In severe cases of aortic stenosis raising the left ventricular can be seen. In valvular stenosis on X-ray you can see dilatation of the aorta. When the valvular opening is decreased then comes to appearance of ventricular systole and when fatigue occurs the pulse becomes flattened, on exertion and palpitations. Cardiac output is significantly reduced so because of that the patient has angina, profound weakness , dizziness during exertion and syncope. Treatment of aortic stenosis is difficult, even after several years of therapy aortic stenosis can lead to myocardial infarction. 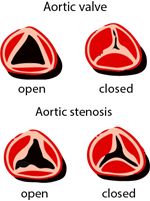 Aortic stenosis may be a valvular stenosis, subvalvular stenosis or supravalvular stenosis. Each requires a special way to make a diagnosis and a different surgical procedure in the treatment. Before the surgery of aortic stenosis there should be more detailed tests including catheterization of left and right ventricle, coronary angiography, aortography and radiographic examination of left ventricle. All the patients with intensive symptoms of aortic stenosis are advised to a surgical intervention. Signs that should be taken into account when we deciding for surgical correction of aortic stenosis are progressive left ventricular decompensation and attacks of syncope caused by cerebral ischemia. When appears decreased cardiac output in aortic stenosis, angina pectoris should be checked. Before deciding for the surgical correction of aortic stenosis doctor should check the hemodynamic and clinical evidence of severe aortic stenosis even in patients who are asymptomatic. If there are sick mitral and aortic valves then they should be replaced, in the same surgical intervention. Surgical intervention that is now used for the correction of aortic stenosis is a plastic prosthesis or homograft. In cases of very pronounced congenital aortic stenosis, it is impossible to set up a small plastic prosthesis, that are used reconstructive surgery, because there are not showing positive results. If after surgical correction of aortic stenosis comes to re rheumatic fever, total decompression of heart might take place. There is a constant threat to the development of bacterial endocarditis as well as angina pectoris or sinaskope. Bacterial endocarditis or septic endocarditis can be divided into two groups: acute bacterial endocarditis and subacute bacterial endocarditis.